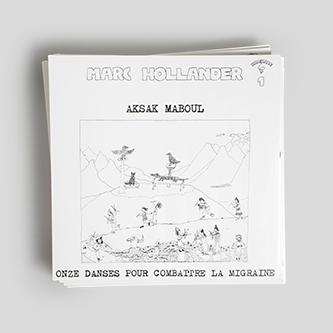 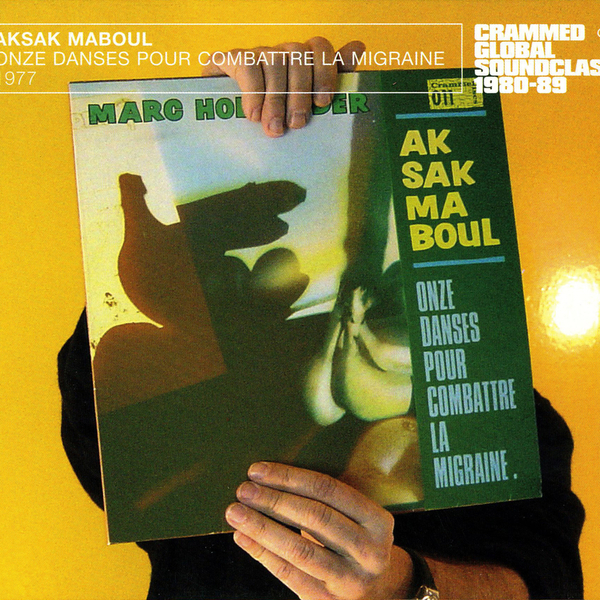 Aksak Maboul's truly legendary proto-techno/free jazz suite FINALLY given a reissue by its maker, Marc Hollander's Crammed Discs. 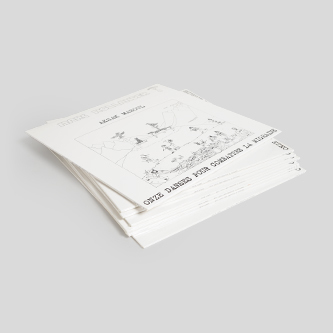 A hugely cherished record around these parts, not least for the strangely prescient 'Saure Gurke' - whose bubbling electronic chords and drum machines uncannily pre-dated Detroit techno by 10 years - 'Onze Danses Pour Combattre La Migraine' remains an outstanding and charming oddity by almost anyone's standards. 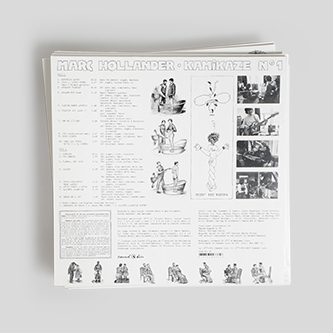 Now for the first time since 1981 it's available on vinyl again, replete with a 2-page track-by-track breakdown in the liner notes where Marc Hollander modestly notes 'Saure Gurke''s similarity to Detroit techno, and also gives a little more context behind its title for non-German speakers, translating to "hey man, you must have been lured out of the jungle with a gherkin!" 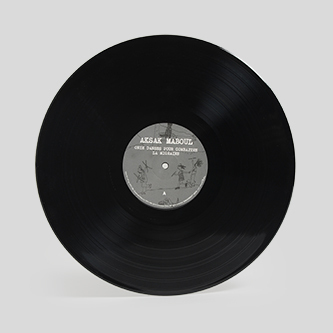 (which is a German idiom meaning "One doesn't find people as weird as you on every street corner). 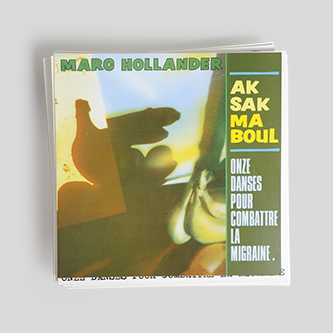 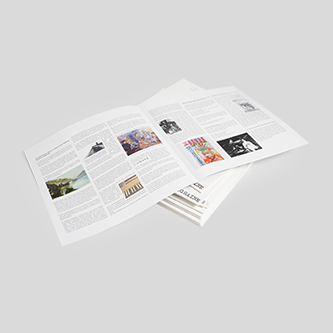 That crucial cut aside, the rest of the album plays out a pre-digital phantasia of ideas, allowing Hollander and Vincent Kenis to simultaneously coin and explore odd new dimensions, vacillating piquant electronic and electro-acoustic arabesques with passages of minimalist, Eastern-influenced free jazz, nursery rhymes and ersatz Pygmy percussive rituals. 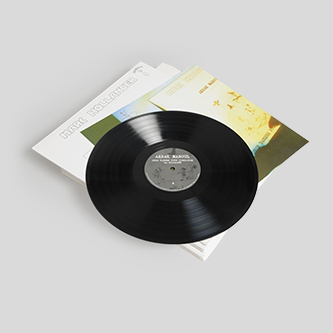 At this point we will struggle to give you any comparisons because it is simply a peerless record, brilliantly out of place, time and space yet immediately and enduringly full of charm, wit and musical dexterity.